Here we have newest iteration of the Honda / Acura NSX dressed in the Liberty Walk Ver.1 Body Kit for Honda NSX. 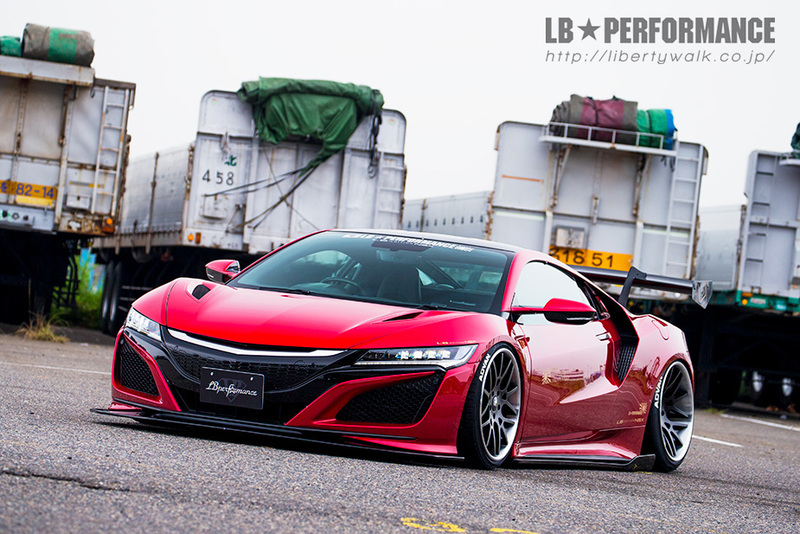 Liberty Walk which is known for wild wide body kits for exotics, went a bit conservative for the NSX. The Liberty Walk Ver.1 Body Kit for Honda / Acura NSX includes a Front Diffuser, Side Diffuser, Rear Diffuser and Rear Wing; all available in FRP (Fiberglass), CFRP (Carbon Fiber) or Dry Carbon. The wheels on this NSX are Forgiato Maglia ECL 20×9.5 front and an aggressive 20×12 out rear. The rear end of the Liberty Walk Ver.1 Body Kit for Honda / Acura NSX looks perfect.